Indians have been ranked among the lowest tweeters globally, with only one per cent of active users, according to a new study by PeerReach. 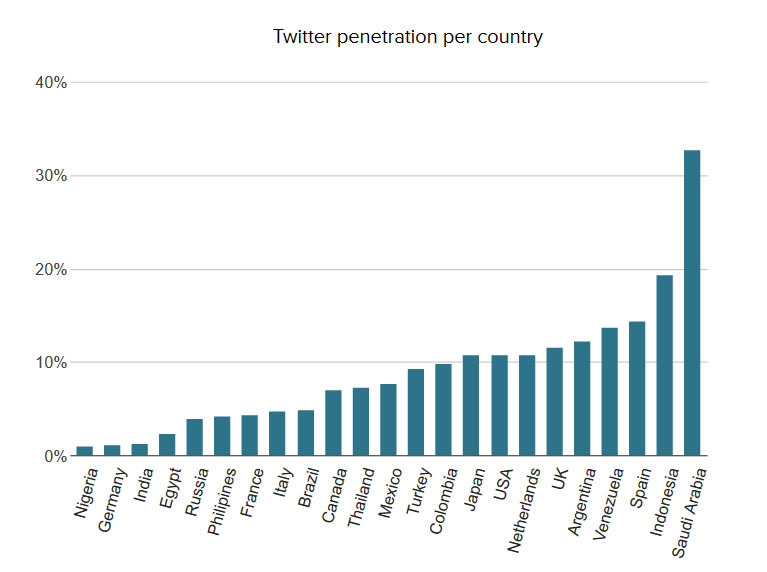 The research that looks at how many people actually tweet relative to the total amount of internet users of the particular nation, ranked Saudi Arabia on top with 32 per cent penetration. However it seemed India, Germany and Nigeria’s online population are significantly less active. The top five countries were all non-English speaking nations, including Saudi, Indonesia, Spain, Venezuela and Argentina. While interestingly the UK sat at number 6 and the USA at number 8.